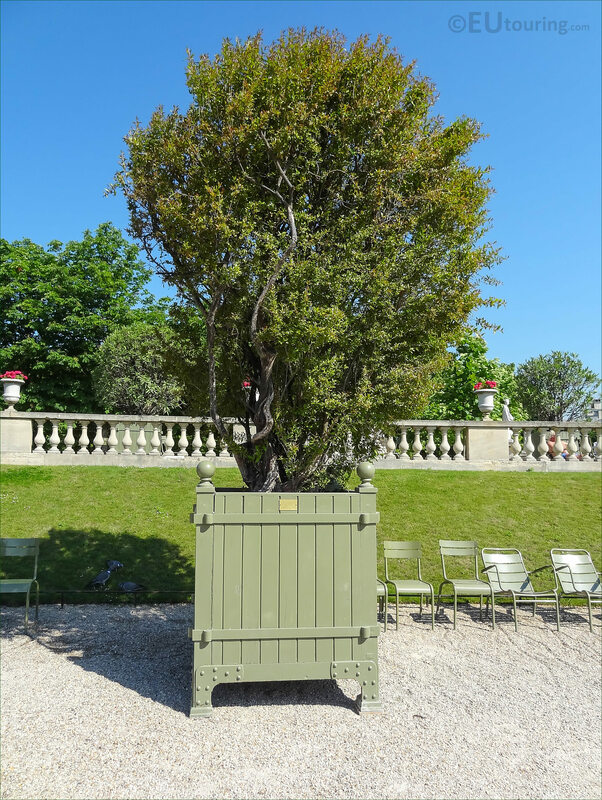 Here you can see a small tree called a Punica Granatum Flore Pleno, which is the scientific name for an ornamental Pomegranate Tree, which is often utilised within hedges or placed in pots, like Pot no 38 you can see in this photo that we took while in the Luxembourg gardens. 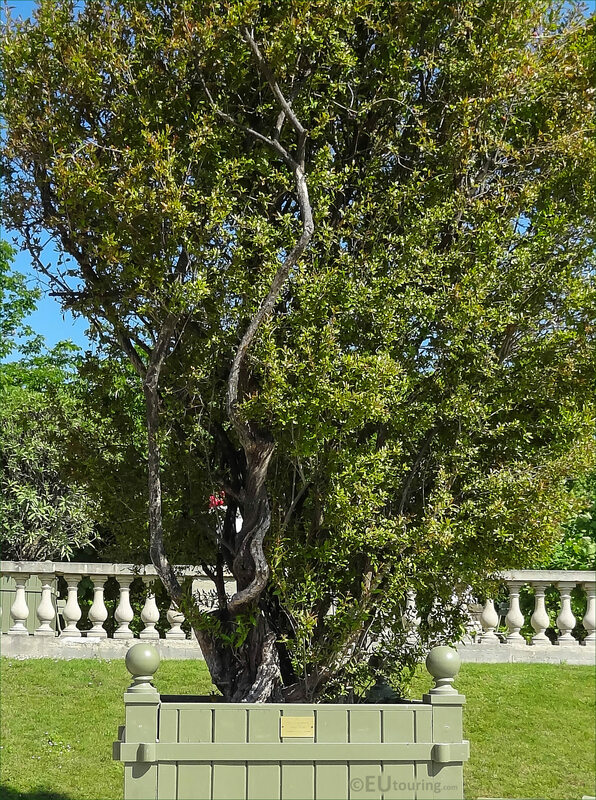 Now this picture shows the unusual twisting stems of the Punica Granatum Flore Pleno, and if you look very carefully at the thinner branches you may be able to see some of the spikes that are also present on the Pomegranate Tree, and they also prefer full sunlight to grow well, yet are happy to be pruned, and do not need much watering. 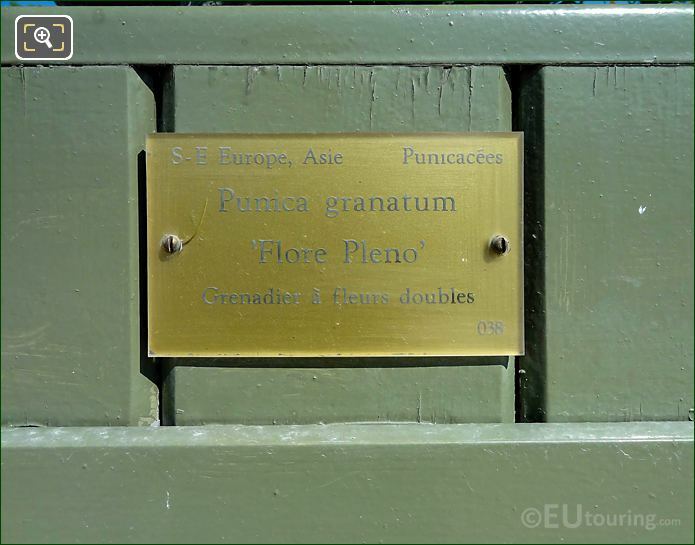 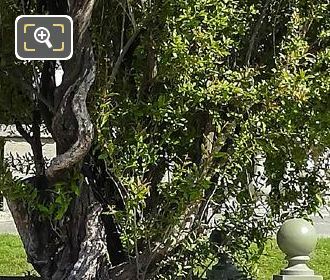 However, here you can see the tourist information plaque attached to the green crate that holds this ornamental tree, and in fact throughout many historical gardens such as those of the Chateau de Versailles, the Jardin des Tuileries and here at the Jardin du Luxembourg, you will find that they always utilise these same style of green crate to hold specific plants that need to be kept in an orangery during winter.